You may think that personal injury cases seem fairly straight forward, but there are actually all different types of personal injury claims, many of which may be completely new to you. Since only 4-5% of all personal injury cases ever go to trial in the U.S., there are all kinds of claims we may never hear about in the media. One type of claim that often falls into this category are premises liability cases. The owner of a given property has a legal obligation to maintain a safe environment and warn others about potential hazards. If an individual sustains an injury on someone else’s property, and said injury was due to negligence of the owner or manager, premises liability law would apply. If you’ve been injured while on someone else’s property that was not properly maintained or secured, you may be able to receive compensation by filing a premises liability case. What are some examples of common cases? Who can file this type of claim? These types of personal injury cases can be quite complicated. For one thing, the amount of liability expected from an owner changes depending on what type of visitor you were when you sustained your injury. Property visitors are generally put into one of three categories. Invitees: An invitee is a person for a reason that’s mutually beneficial to both that individual and the property owner. Many times, this reason will be one that involves the transfer of finances, but this is not always the case. For example, retail shoppers are considered to be invitees because their visit would typically involve a trading of benefits (i.e., product for money). Another example of an invitee would be a general contractor, plumber, or other individual who performs repairs or services. Licensees: Anyone who has either implied or express permission from the owner to come on the premises is considered to be a licensee. For example, friends, family members, neighbors, or other individuals who are not trading benefits with the owner would all be categorized as invitees. Trespassers: Someone who unlawfully (without permission) comes onto another’s property is called a trespasser. This can refer to someone sneaking onto private property or an invitee who refuses to leave when prompted. An owner has different degrees of responsibilities for each of these categories. For invitees, an owner has to make his/her property reasonably safe and must maintain the premises. For licensees, the owner needs to warn visitors about any hidden hazards and fix any problems. But for trespassers, an owner doesn’t have any obligation except to not willfully warn that individual. The only exception is if the trespasser is a child; then, the owner has to avoid a foreseeable risk of harm resulting from artificial conditions on the property, like swimming pools or other dangerous conditions. 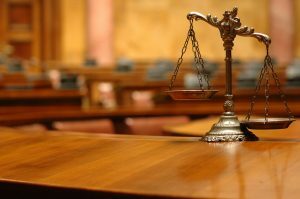 For a premises liability case, you’ll have to prove that that the defendant in your claim owned, leased, or occupied the property at the time of the incident; that the defendant was negligent in his/her duty to maintain the property, and that his/her negligence caused the incident to occur; and that you were injured while on the property. Your best bet for establishing proof is to seek out the best personal injury attorney Hazard KY has to offer. Whether you’ve sustained a personal injury, were in a motor vehicle accident, or need to file a medical malpractice claim, Mullins Law Firm is here to help you get through this trying time. For more information or to set up a consultation, contact us right away.